On May 2nd, 2014, Windows Phone chief, Joe Belfiore delighted WinPhans the world over when he teased a few screenshots of the official Windows Phone file manager during his Reddit AMA. Staying true to his word, “Files” was released today. 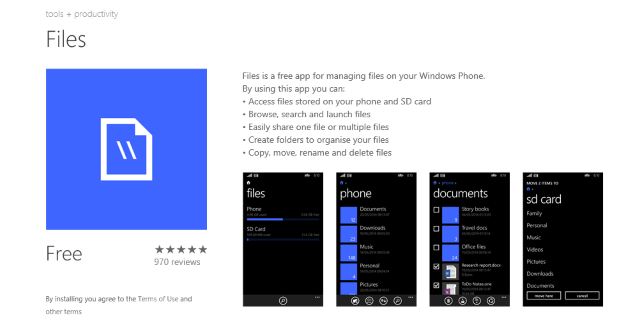 Unlike the previous version of Windows Phone, WP8.1 (which is currently in developer preview) gives developers more access to the file system. a try by downloading the app from the app store or scanning the QR code.